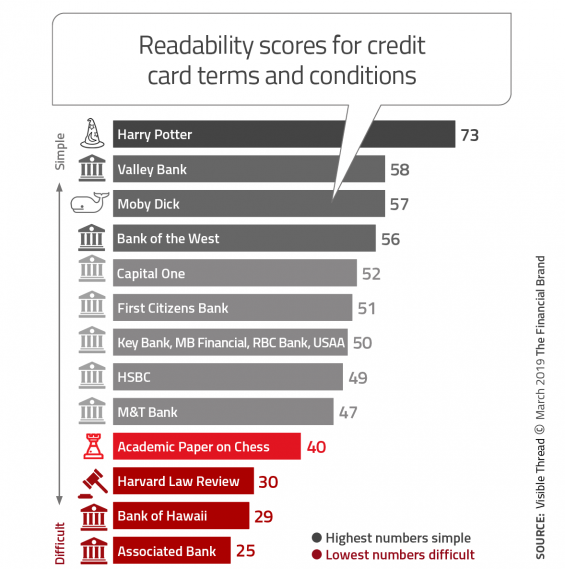 Using artificial intelligence and natural language processing, Visible Thread analyzed terms and conditions language on the web from 50 large U.S. card issuers. 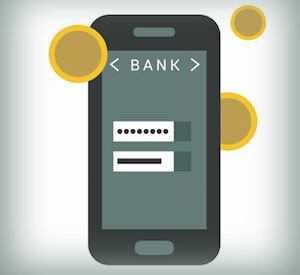 The Financial Brand also asked the firm to analyze terms and conditions for some major nonbank brands — Amazon, Google, and Starbucks — that have partnered with banking institutions to offer cards. You can see the full tables for all five ranking criteria in the report. 2. Most issuers use too many complex words and phrases. The report makes reference to plainlanguage.gov, a federal site curating government plain English requirements and related blogs and tips, as a source of complex words and their simpler alternatives. To paraphrase veteran NBC newsman Edwin Newman in his 1974 book Strictly Speaking: Will America Be the Death of English? no one involved in the law will abide a period when a comma will do, on the off chance that it could create a loophole someone might squeeze through.